South Pacific massage treatments for the soul. Indulge yourself in a haven of tranquility by the beach. 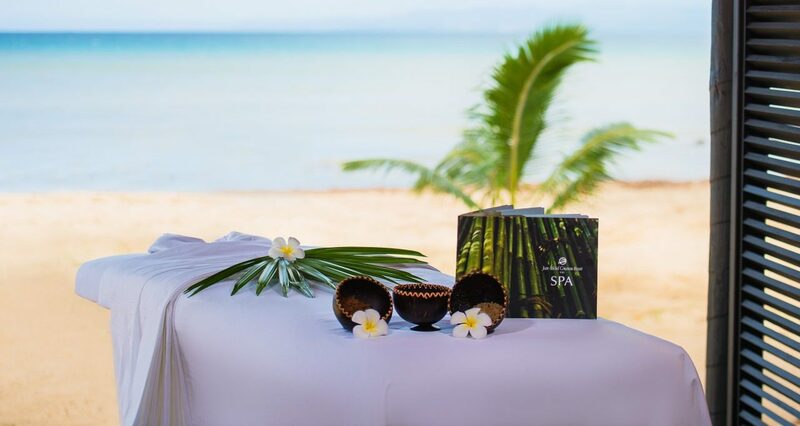 In the privacy of one of our resort’s beach-side treatment bures you can immerse yourself in a soothing and restorative spa treatment designed to induce harmony and balance the senses. Relax to the gentle sounds of ripples at the water’s edge only a few steps away. In Fiji, yoga takes on a whole new dimension. You’ll experience the serenity of restorative yoga in a pristine setting within sight and sound of the tranquil waters of Savusavu Bay, just steps away. Complimentary small group yoga sessions are held every morning as the sun rises. Or, you can choose private sessions with one of the resort’s yoga instructors. Whatever your experience level, you’ll feel completely relaxed and renewed and at one with your surroundings.